What does IoT security involve? With the Internet of Things (IoT), the opportunity for innovation is exciting as IoT will be employed in machine-to-machine (M2M) communications, smart cities, wearable technology, vehicle communication, and so much more. Yet safeguarding the devices, data and networks connected to the IoT can become complicated for businesses that are trying to implement an IoT platform. 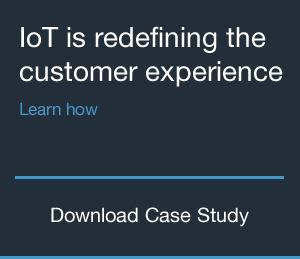 IoT connects devices and networks in an ever-expanding ecosystem. In doing so, there is an increasing prevalence of uniquely identified components transferring data over a network. Experts have long warned of the potential risks of having so many unsecured devices connecting to the Internet. Machina reports that the total number of IoT connections will grow from 6 billion in 2015 to 27 billion in 2025. What does it mean to secure the IoT? The answer is — many things. “Security is one of the most multi-faceted problems an IoT user or solution developer will face,” Godfrey Chau, principal analyst at Machina Research blogged for Nokia. Chau broke IoT down to its basic level: device + network + platform + application + data processing + storage components. Each of these component parts needs to be effectively secured to ensure IoT solution security. Considering each of these components may be manufactured by different entities there are several points of vulnerability. Without universal IoT standards in place for securing components, IoT innovators must be held to the highest level of accountability in understanding and implementing security technologies at every layer of the solution. Security must be incorporated into the design and development process with an eye to the entire architecture and system use, considering levels of interaction with several other components at all stages in the solution’s life. The U.S. Federal Trade Commission, for instance, recently suggested several security considerations including minimizing or anonymizing data collected and appropriately monitoring and supervising third parties. Understanding the need for network protection, mobile operators will need to not only provide IoT security and a resilient infrastructure, but also proactively dedicate themselves to detecting and preventing hacker attacks. Existing examples of IoT hacker abuse are often linked to consumers’ lack of understanding of the potential threat. Perhaps the end users fail to change default passwords. Or, if the password is reset, it is not changed to a sufficiently strong password. IoT is going to drive new procedures and policies. Human employees must be held accountable to these to avoid error and negligence that might compromise the system. IoT security, in short, must involve holistic thinking and vigilant oversight of all component categories as the IoT ecosystem grows.